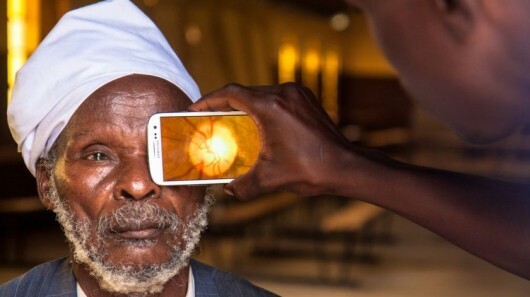 A new smart phone based system, known as PEEK (Portable Eye Examination Kit) has been developed by a team of experts in the fields of eye care, research, and mobile technology. PEEK is designed to be a comprehensive eye examination tool that leverages mobile phone technology to extend the availability of ophthalmic diagnostic tests beyond expensive treatment centres to anywhere in the world, no matter how remote. According to The World Health Organization (WHO), 285 million people are estimated to be visually impaired worldwide. Out of which, 39 million are blind and 246 million have low vision. Moreover, 90% of the world’s visually impaired live in developing countries; a staggering statistic, considering that 80% of all visual impairment can be avoided or cured (WHO).